I’m Stephen Ratcliff of Stephen Ratcliff, Family & Cosmetic Dentistry. My office is located at 909 W Mitchell St in Arlington TX. One of the best things about being an Arlington TX area family dentist is interacting with my patients. During initial dental consultations, I listen carefully to my patient’s short and long term dental goals. I enjoy discussing options and developing effective treatment plans tailored specifically to each person. Some of my clients desire a total smile makeover. I explain in detail the treatments available including teeth whitening, dental veneers, clear braces, crown restoration, and dental implants. If a client has severe tooth damage or missing teeth, we offer restorative dentistry. These procedures can replace missing teeth with such a natural looking replacements that no one will be able to tell the difference between the restoration and your natural teeth. 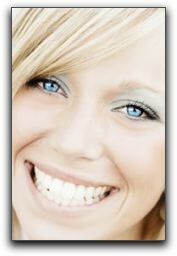 I never get tired of creating dramatic smile transformations for the best clients in Arlington TX! If you have been considering a smile makeover, let’s talk about your smile. Call Stephen Ratcliff, Family & Cosmetic Dentistry at 817-274-7875 to schedule a cosmetic dentistry consultation.